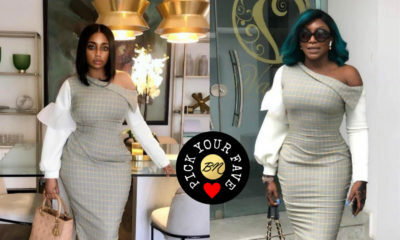 Today’s BN Pick Your Fave features two style stars, Ini Dima-Okojie and Mimi Onalaja, who absolutely love Fablane by Derin, and we totally understand why. 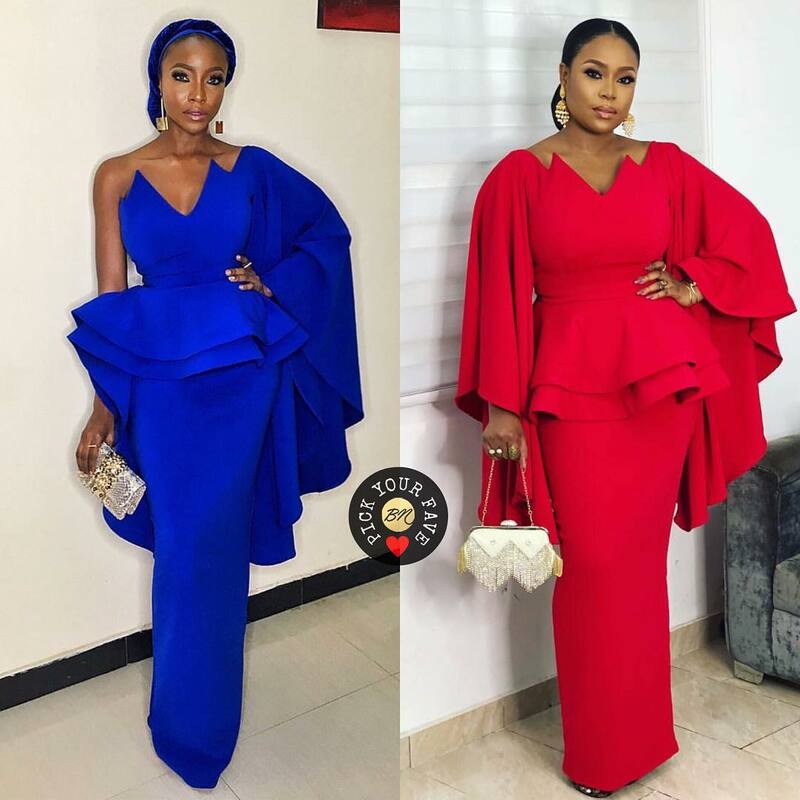 Both ladies, one an actress and the other a presenter, were both spotted wearing similar looks but Ini’s had a little twist. The floor length, double peplum dress by Fablane features an interesting V-neck and exaggerated sleeves. Mimi’s red version comes with both sleeves while Ini’s dress is in blue and has one sleeve instead. Pretty ladies. Too much going on on both outfits. 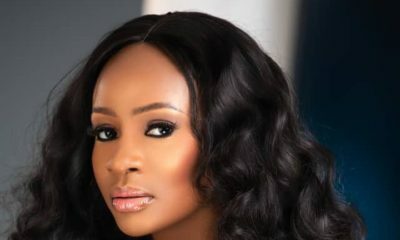 When a slim lady wears an outfit with so much flaps and folds they will have that look like the outfit is heavy. Too much material or rather the dress wore them.. nice colour and fabric but not flattering AT all on both sides. Rita Toronto, you were quite honest.